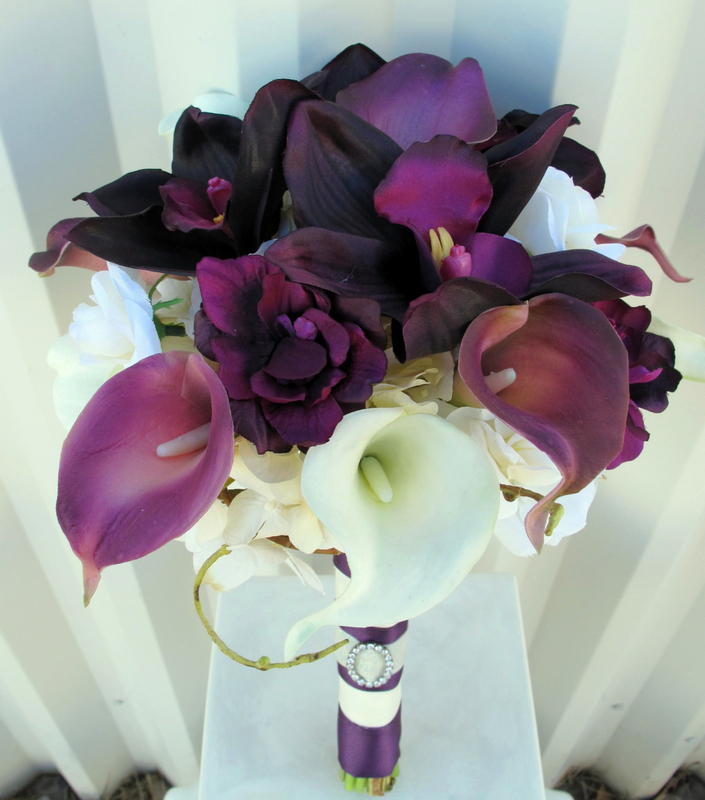 This Wedding bouquet has class and elegance. 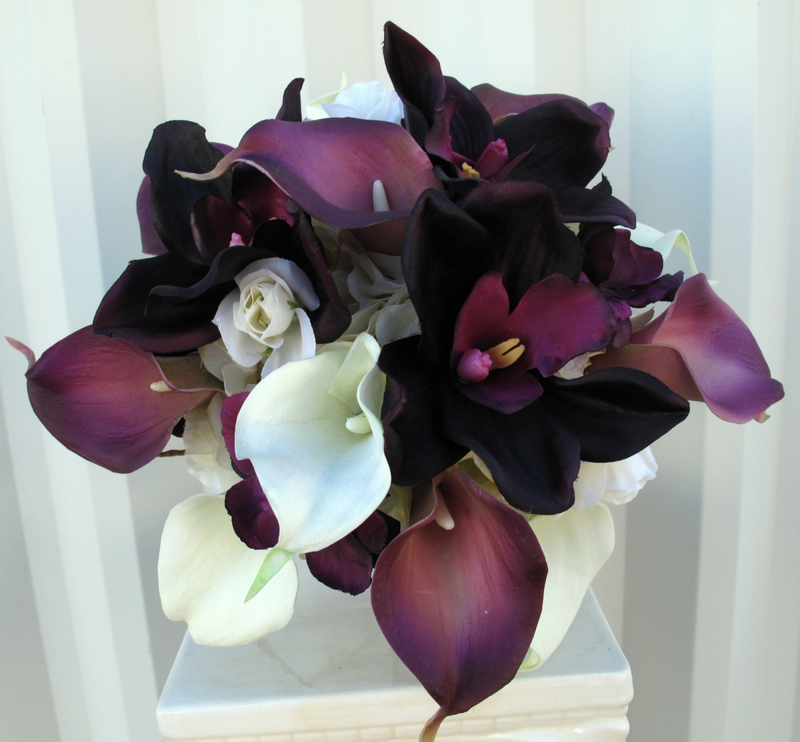 Real touch calla lilies & orchids are soft to touch and look so real, you are sure to love them. 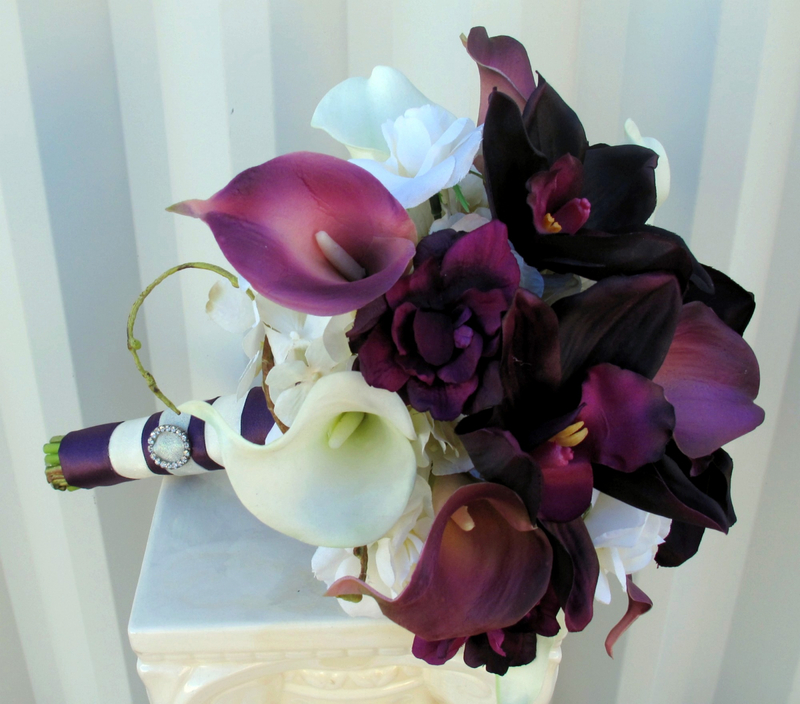 Bouquet is designed with 10 eggplant purple & white calla lilies, 3 plum orchids, creamy white hydrangea, & plum delphinium, framed with curly willow loops and grass. 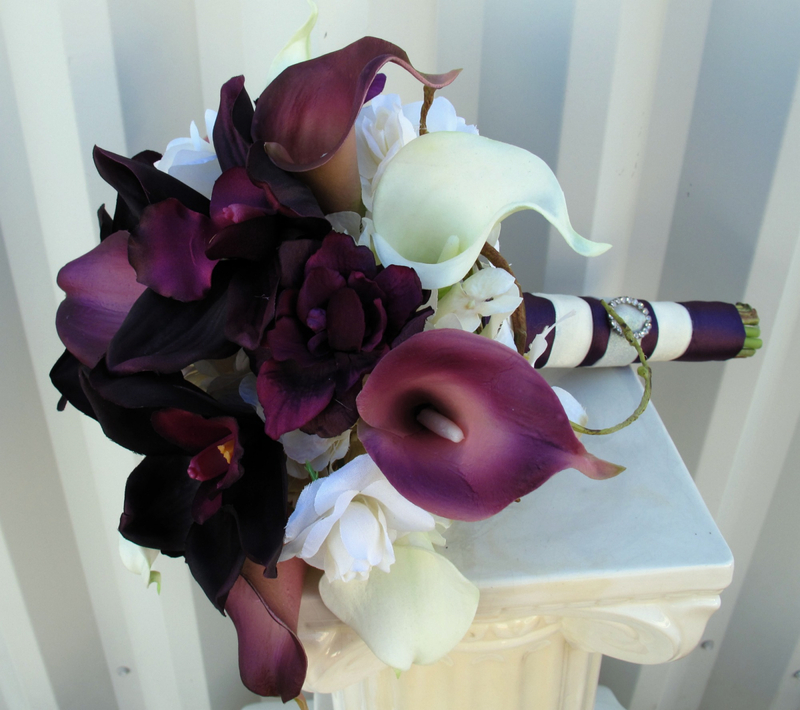 Handle treatment is wrapped with a plum satin overlay ribbon and a white satin sash ribbon, completed with a sparkling rhinestone buckle.